To follow on from the earlier article on the Zotac GeForce GT 430 PCI card that I actually bought and wrote about, the new ZOTAC GeForce GT 610 PCI video card is the latest version based on the 600 series NVIDIA GeForce GPU. The Zotac GT 430 was a great purchase for me, as it freed up my only two PCI express slots to allow both my LSI SAS controllers to be used. These cards are great for limited Expansion slot motherboards, or to liven up an ancient even pre-AGP motherboard. The card is passively cooled, so there is no fan to make any noise. To accomplish this, ZOTAC places heatsinks on both sides of the PCI PCB to keep it cool, which is something I have not really seen this before on a video card. 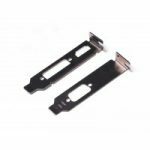 The ZOTAC NVIDIA GeForce 610 card comes with both a full height expansion bracket and Small Form Factor (SFF) brackets, to fit either size case. The use of the SFF bracket removed the VGA out connector from the board, but this can be placed in the second SFF adaptor should it be needed for older CRT monitors, again a great feature. This allows the Video card to fit in 2u case, and the airflow in these cases should be ample to cool the video card. The back of the card has DVI, HDMI and VGA out connectors to cover all older monitor bases. The ZOTAC NVIDIA GeForce 610 PCI card has 512MB GDDR3 RAM @ 1333Mhz , any more again would be a waste as filling the video memory is the part here where the card cannot cope, faster RAM would be a waste also as there is little memory to do anything with. Now looking at the performance, my ZOTAC NVIDIA GeForce GT 430 comes equipped with 96 CUDA cores while the GT 610 comes with 48, this is not a bad thing. The PCI interface simply cannot handle the throughput of big graphics textures, if they don’t all fit into the onboard memory, then you will simply get very poor performance. Using this card in 1920×1080 desktop with Aero in Windows 7 is quite adequate, you will notice page scrolling but I can live with it, it’s way better than running an older video card in Windows (even a PCI express card.) 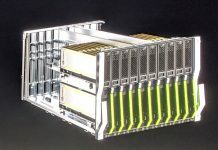 Don’t expect to run any modern games or CAD applications, you will be disappointed, but older games should do OK, as long as they can fit the textures in the onboard video meory because at 133MB/s, the PCI bus is slow. NVIDIA GeForce cards are widely supported in various operating systems, so support should be widespread, even MacOS is supported by NVIDIA. This card should do nicely for anyone wanting quiet no fuss video but has no PCI express expansion slots. I like my previous generation GT 430 video card, its been very handy. Pieter is perhaps best known as the one behind laptopvideo2go.com. He has been a regular contributor in the STH forums and has been detailing his learning, specifically in the area of LSI controllers on STH. He is quickly becoming the resident LSI controller guru. Great review. 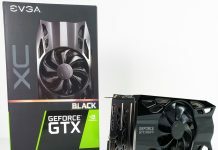 I have just purchased this card a s a second graphics card and, while the picture is spot on, it’s very slow and jerky. Text appears slowly, scrolling takes forever and things just generally happen more slowly. Do you have any tips to make this faster? Turning off Aero is one I know, but I do like these features and I use them on my two other screens. Many thanks. Any updates on the slow and jerky text and scrolling problem? I’m looking at purchasing one and would just like to know if this is a major issue or whether it was fixed… For example by using the proper nvidia GeForce drivers vs the standard drivers windows installs? I have just RETURNED my Zotac GT610 PCI card. I do not recommend it. This card is NOT capable of displaying 1920×1080 properly as Zotac claims. Images in video(avi movies, dvd, streaming) cannot be displayed at resolution higher than 480p. The card drivers will “downgrade” any video to those specs to be able to play without stuttering. I tried only one game before Zotac support told me to return the card.Command and conquer: Red alert 3. Best I could get was medium graphics with NO anti-aliasing or shadows before the stuttering was so bad it was unplayable. If all you will do is surf the net for e-mail or board posting(on sites with no banner ads or video pop-ups) or view images (pictures, no video) and for some reason your on-board graphics do not function then this is the card for you. Otherwise you would do yourself a favor and buy something else. P.S. : This card runs at 45 degrees celcius to display Win XP desktop at 1920×1080. If your computer is already running towards the hot side, this will put it over the top. DO NOT INSTALL ON LAPTOPS! 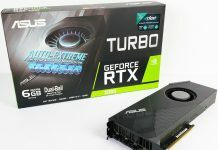 So how does this card compare to the Gt 430 you already tested? Did you have a comparitive 3DMark 2001 score? Also, in response to Dom above, how can this card not be able to play online videos (like YouTube etc?) at more than 480p? Even 10 year older PCI cards which are 10x slower can do that!